On July 8, 2017, Charlotte Casiraghi attended the religious wedding ceremony of Prince Ernst August and Princess Ekaterina of Hanover held at Marktkirche Lutheran church in Hannover, Germany. Charlotte Casiraghi wore a Macramé lace-paneled silk coat by Giambattista Valli at the wedding ceremony. 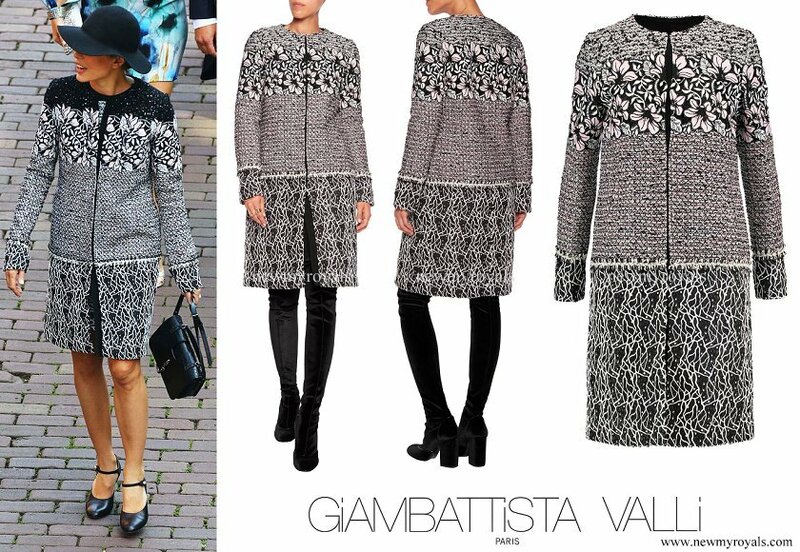 The Giambattista Valli macramé silk-lace coat retails for £1,115.10 on "The Outnet" website. I agree. A very strange choice by someone who never misses the mark. The hat choice was awful. Charlotte is a beautiful young woman in an ugly, heavy and depressing outfit. 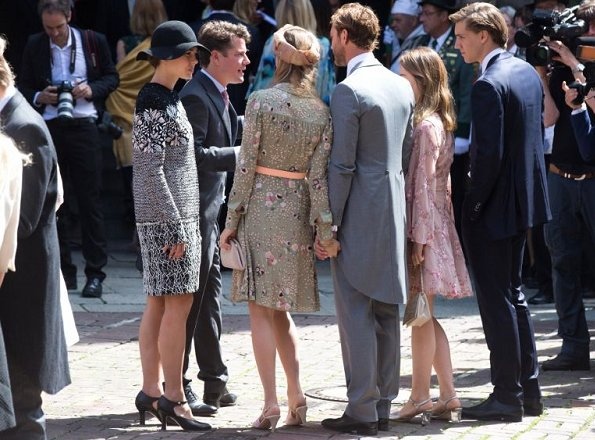 And the black hat at this high-summer wedding made me wince. Very sombre look ! More fitting for attending a funeral than a summer wedding. Would have been a beautiful tribute to a deceased loved one but I cringed...for a wedding? Agreed ladies. If it is indeed silk then it looks very heavy - more like tweed - and the hat, which looks like felt, adds to the funereal winter look. What was she thinking? What a strange choice of outfit by someone who usually misses the mark. I must say that the hat is truly awful. Even Beatrice and Alexandra could have done better.